Launched in 2005 Mogul Solutions has spent the last decade working quietly behind the scenes for some the largest agencies and brands in the world. 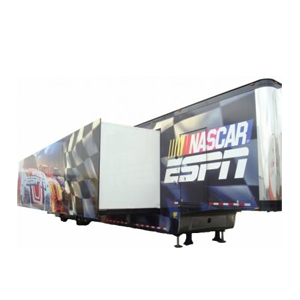 Services range from custom trailers for national TV commercials to local promotional vehicles. Mogul is ready to source, deliver, train, and execute any mobile marketing project. 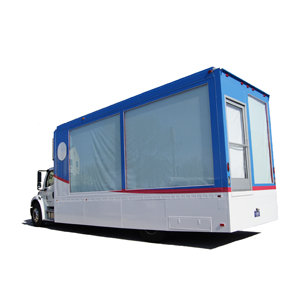 We excel at B2b mobile tours, launch events, shipping containers, and complex installs. We can assist with rentals and purchases of a new or used event vehicles for your next mobile marketing program. Check out our experiential vehicle sourcing site! 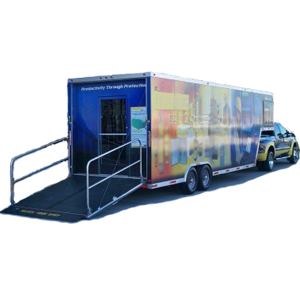 From the fabricator to your door or nearly anywhere in North America, our team of experienced event producers can transport your mobile exhibit and have it show ready for your event. We know mobile events from the inside out. From tour routing to event flow. Put our experience to work for you. We can assist with event transport and setup or simply deliver and train your staff on their new marketing asset. Small Shop + A Decade of Experience = Big Value.